Creativity and coaching are two of the buzzwords of the twenty-first century and yet little is known about how to coach creativity. In business, education, health and many other fields there is an increasing acknowledgement of the importance of innovation and recognition of what is lost when creativity is lacking. In Coaching Creativity, Jen Gash explores the history, science and practice of "creativity" by artists, makers and creators, translating this into practical advice for coaches. The book investigates the concept of creativity and examines the theories surrounding it from psychological, neurological and biological perspectives. It then takes a more practical look at the "doing" of creativity and explores the use of creativity in therapeutic settings. A model of coaching creativity is presented which acknowledges its diverse and individual nature. The book also includes are tools, case studies and ideas for coaching creativity including contributions from a wide range of coaches. 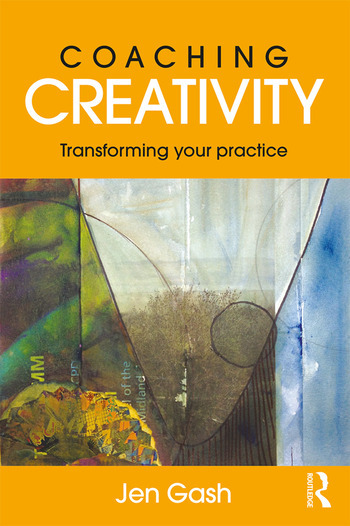 Coaching Creativity will be inspiring reading for coaches of all backgrounds, including business and organisational coaches, those in training, and others in the helping professions looking to enhance their practice. It is essential reading for all coaches who aim to support clients’ creative goals and use creativity in their own practice. It fills important gaps in current coach education and practice. Jen Gash is a coach, entrepreneur and occupational therapist in private practice. Her personal experience as an artist and writer led her to explore the creative process and prompted her research into the complex world of creativity. Jen’s inspiring career has seen her work across the public and private sectors. She is based in South Gloucestershire, UK and works internationally across a variety of multi-media platforms.